Tragically, the second lamp I made at ITP camp is gone. I accidentally toppled it today. It fell, shattering into pieces. I am not upset though. Most of the parts were salvageable and will be re-used in a future lamp. 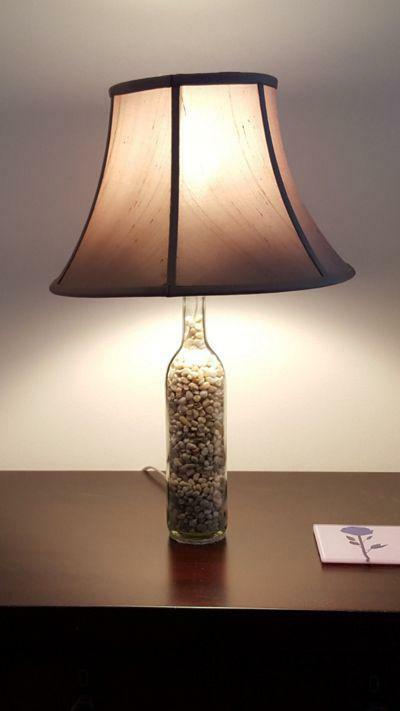 I have three wine bottles with holes already drilled in them, so I can make an identical lamp if I want to. I won't though. 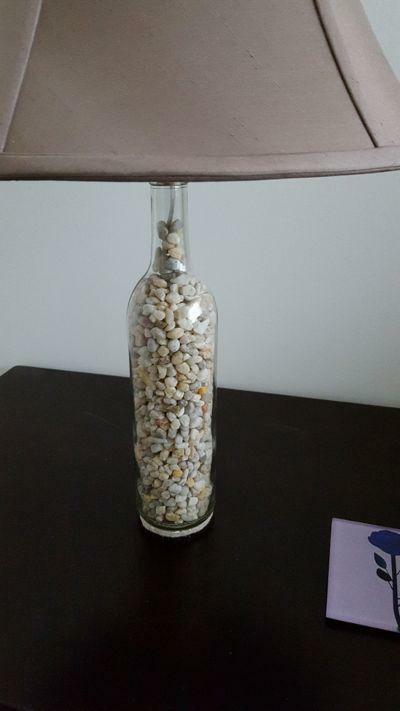 I realize now that filling the bottle to the top with gravel raised the center of gravity higher than where it should be. The next one will will be half filled with gravel. How about plastic or glass beads for the top half? I could make something that looks fishtank-like. I am sad that lamp is gone, but know that the next lamp will be better. Very effective. I had bread-crumbs everywhere but that is much easier to deal with than the broken glass. This is the 3D animation I made for my holiday cards. View this with red-cyan 3D Glasses (red on the left, cyan on the right). Also have a look at last year's animation. Animations built with Processing and Camera-3D. Carol Of The Bells by Jason Shaw of Audionautix is licensed under a Creative Commons Attribution license. Almost done with the custom keyboard! Refer to (part 1) and (part 2) if you have not read them already. I finally built up the courage to attempt the actual assembly. This part was very difficult and it took me a long time to figure out something that made sense and seemed achievable. There are so many buttons...how am I supposed to organize the buttons, the wires, the shift registers, and the resistors? 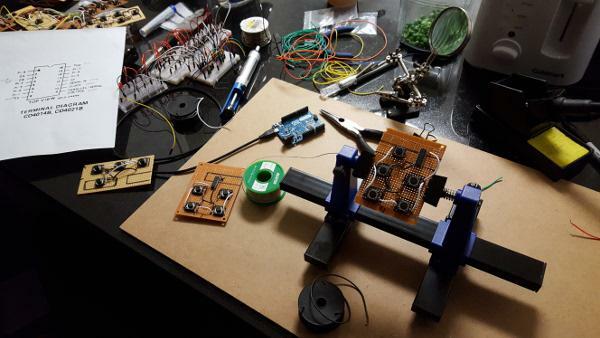 I started by soldering the buttons into place in their correct locations on each circuit-board along with resistors and wires for power and ground. 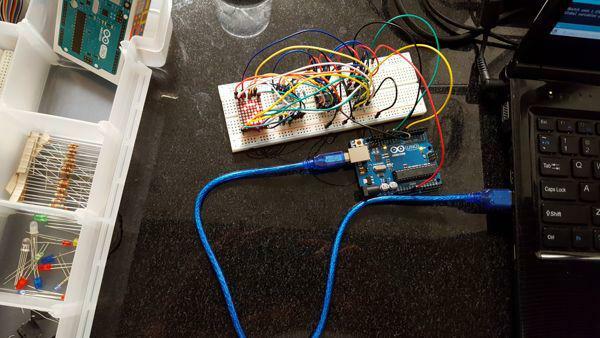 Each circuit-board connected the power and ground wires to each other so I only had to add two wires from one board to the next to power the buttons. Recently I got my piano tuned and I re-recorded myself playing a few songs. Here is Pachelbel's Canon in D. I played this at my brother's wedding in a few weeks ago. I didn't play it as well as I do here but I did my best. It's hard playing for an audience! Here's an improved rendition of Pachelbel's Canon in D. This time I used the pedal and didn't speed up as I approached the crescendo. I made one or two mistakes but they are relatively minor. And I also recorded this on the first try, without sheet music! The previous recording took 20 attempts. There's also a new connect the dots puzzle available, depicting a Pterodactyl. I made at least 4 mistakes, but every attempt after this was much worse. The crescendo is challenging! Of course I can play it better when I am not trying to record myself. Tonight I also re-recorded myself playing Erik Satie's Gnossienne # 4. This time, without sheet music. 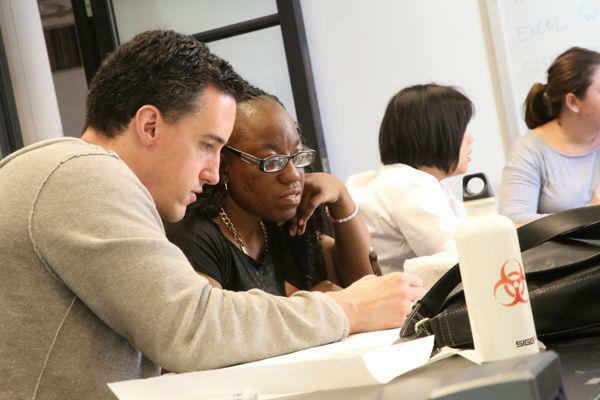 I spent the month of June at ITP Camp. It's my third summer in a row there, and as always, I had a blast. This year I attended a session on building a custom computer keyboard. It was taught by Claire Kearney-Volpe and Ben Light. In the class we met with several members of United Cerebral Palsy and discussed their experiences using computer keyboards. Traditional keyboards often do not meet the needs of disabled people. We talked about ways we could re-design a keyboard to make computers more accessible and meet their usability needs. I worked with a woman named Shaniqua. She didn't like the traditional key arrangement of a QWERTY keyboard and often found it difficult to find the next key she needed to type. There were some keys she didn't use at all and she thought the keys were too close together. It's been a while since I posted something here. In January and February I was a data science fellow at The Data Incubator and worked very, very hard on projects and assignments to learn more about Python and data science tools. But now that that's over, I have time for other things. I made a few minor mistakes here and there but overall I am very happy about it. The broken cords make this a difficult piece to play. Also, I updated this website theme! Much better than the previous one. I made another lamp; this time, out of an empty wine bottle. Similar design and build as the first one, made with leftover gravel. 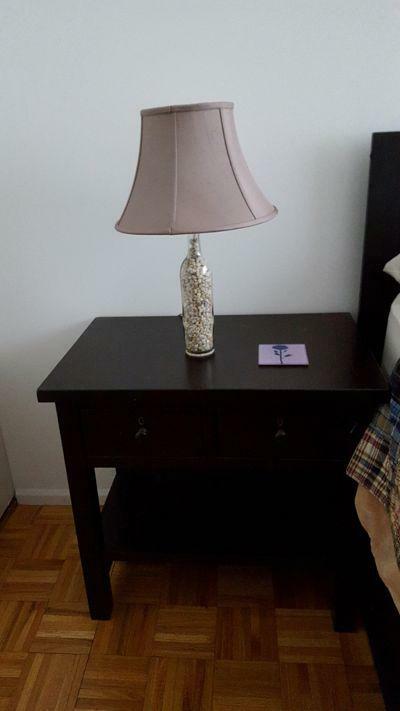 The lampshade is the same color and fabric, so they're an matching set! Someday I'll probably make third one and give it away.